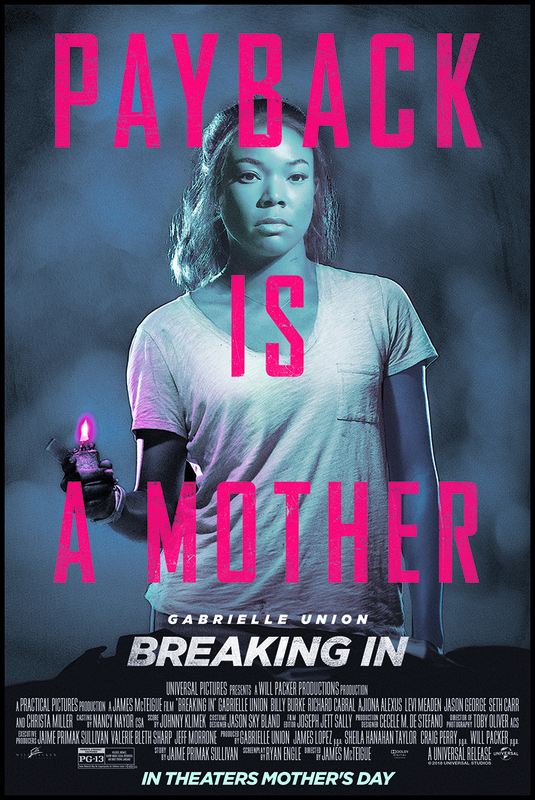 Enter For A Chance To Win Pass To See Breaking In on May 9th at 7:30 PM in SAN ANTONIO. 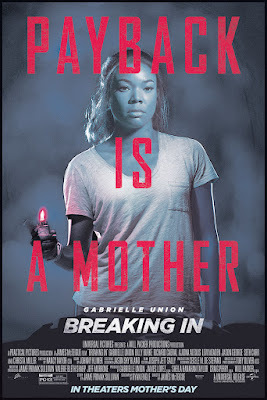 This Mother’s Day, Gabrielle Union stars as a woman who will stop at nothing to rescue her two children being held hostage in a house designed with impenetrable security. No trap, no trick and especially no man inside can match a mother with a mission when she is determined on Breaking In. Breaking In co-stars Billy Burke (Twilight series), Richard Cabral (End of Watch), Ajiona Alexus (Empire), Levi Meaden (Pacific Rim Uprising), Jason George (Grey’s Anatomy), Seth Carr (Black Panther) and Christa Miller (Cougar Town). Joining Union and Packer as fellow producers are Will Packer Productions’ James Lopez (Girls Trip, Think Like a Man), and Practical Pictures’ Craig Perry and Sheila Hanahan Taylor (American Pie and Final Destination series). Jaime Primak Sullivan, whose story the screenplay is based upon, serves as an executive producer alongside Valerie Bleth Sharp and Jeff Morrone. Producers Will Packer (No Good Deed, Obsessed) and Union (Almost Christmas, Being Mary Jane) reunite for this original thriller directed by James McTeigue (V for Vendetta, Sense8). Written by Ryan Engle (Non-Stop).